The vision has finally become a reality! 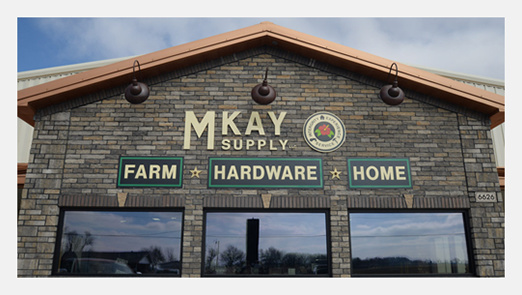 A beautiful alfalfa field in the middle of Southeast Missouri serves as a breathtaking backdrop and incredible one-of-a-kind retail location called M Kay Supply, LLC. The vision began when owners Malinda and Jarrett Milam looked at Benton, Missouri, and the surrounding area. They recognized a need for retail access to the products they carry. Born from necessity, this retail store is unlike any other and is in a class all of its own.